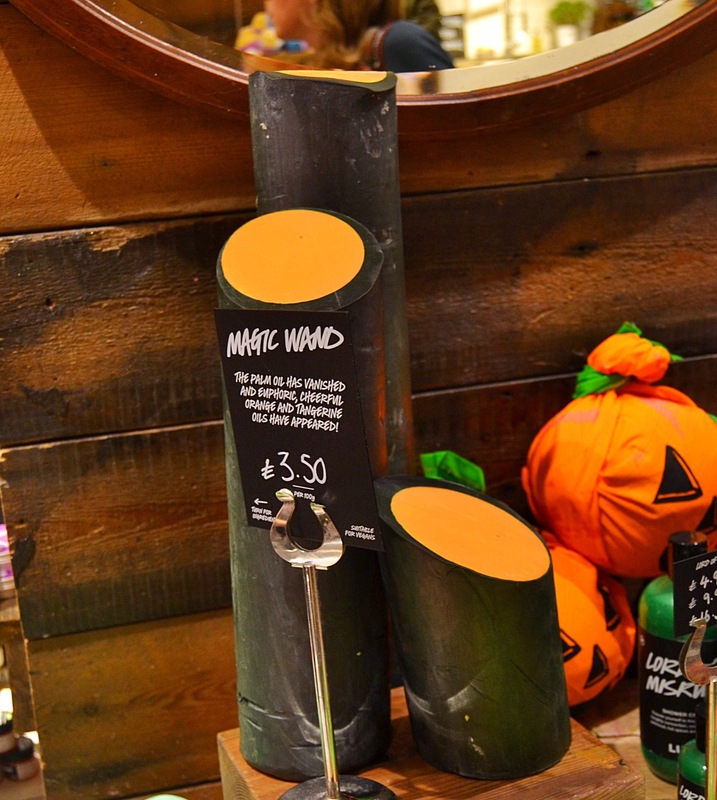 As a magicians assistant when ever I see anything in Lush which is magic inspired or related to magic in any way I kind of geek out a little and get very excited (I really do need to get out more). Therefore even though soaps aren’t really my favourite product I couldn’t wait to get my hands on the Magic wand soap and give it a try. 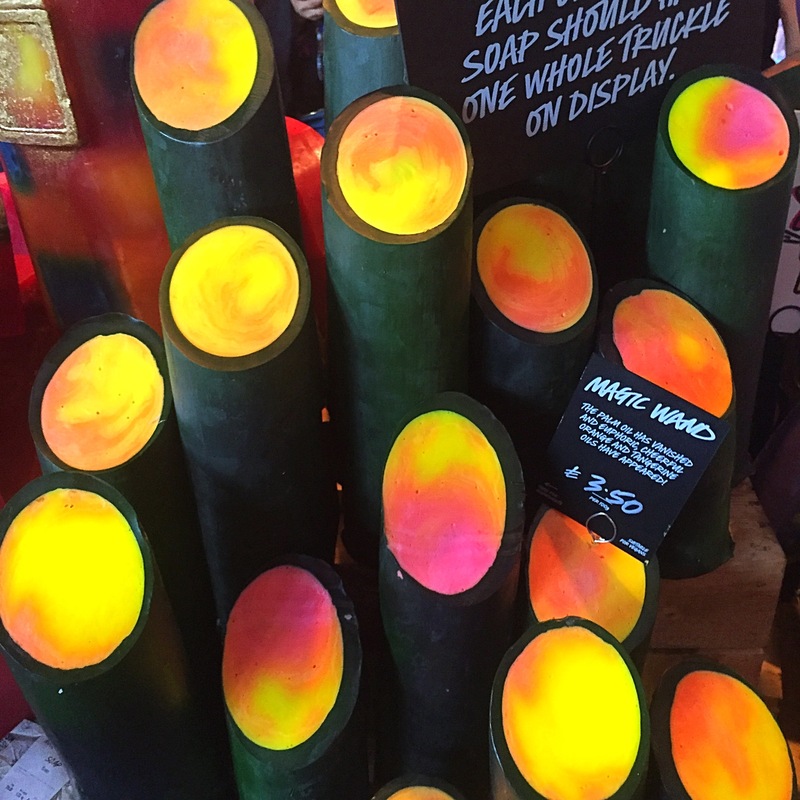 This Halloween lush seem to be bringing back scents long gone and re releasing them in new products. The Magic wand soap shares its scent with the much loved Angel Delight soap. 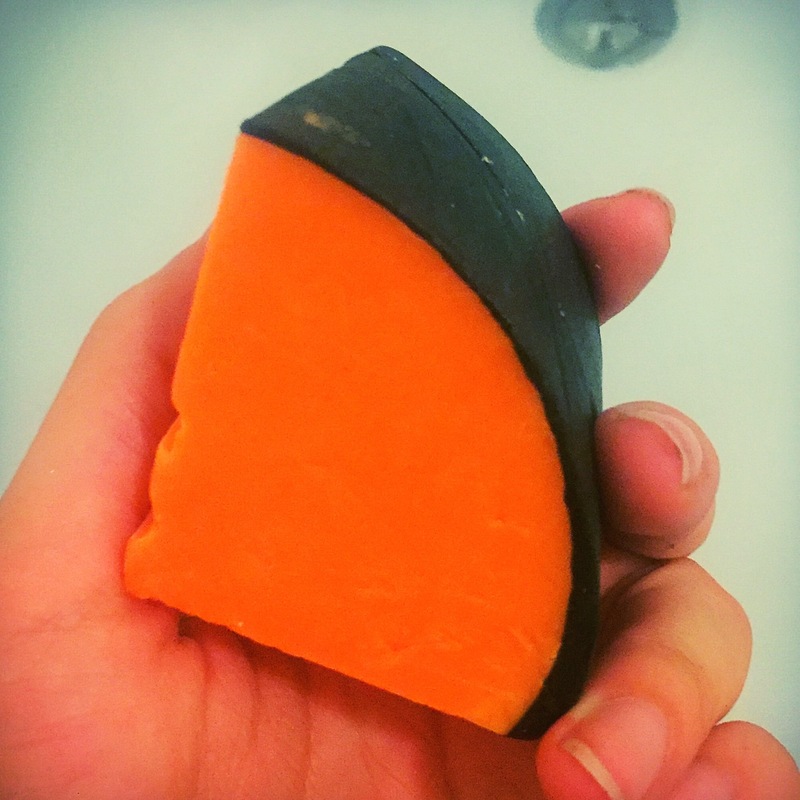 Containing a good helping of tangerine oil the scent of this soap is very fresh, fruity yet sweet. It really is delicious and I think it’s one of my new favourite scents. The Magic Wand soap doesn’t look like a traditional magic wand. It is still however very impressive and won’t leave you at all disappointed. The outer dark shell of the soap contains pomegranate molasses and charcoal, which gives the soap absorbing qualities and a slight buffing affect when the outer side is used. The inner of this soap has a beautiful marbled yellow and orange colour and contains all the fruity goodness. Overall I have loved using this soap. So far the soap seems to be lasting a very long time and hasn’t dissolved quickly at all. Although it doesn’t seem to lather as much as some soaps, the suds were super fragrant and left such a lovely scent on my skin. I will defiantly be stocking up on this soap to last me the rest of the year.